I arrived at the name due to using a lot of parts that I had lying around, hence anything in the Parts List with a price of $0.00. Some were unused in my Nevermore build, and others were from the computer this one is replacing. When I gave him the Aurora, it was already having issues, mainly due to having no upgrade path and no longer being supported by Dell. Playing on the PC while listening to his music is an activity he really enjoys, so the more frequent BSOD's and problems were no longer acceptable to me. Dad is 84 now and I wanted to give him a PC that would be reliable, easy to use and not be a hand-me-down. I also wanted it to look good, and be powerful enough to play more demanding games when his grandson is visiting. Therefore, knowing the good deals to be had in the weeks around Black Friday, I started putting together a list of core components to buy and the parts I had sitting around doing nothing. It came together pretty easily and the build went smoothly. Overall, I am quite happy with the results, and more importantly, Dad has a new PC that works and is, in his words..."pretty damn cool and a helluva lot quieter than the other one." CPU - Absolutely could have just gone with a Pentium, yet the i3-6100 was a fantastic deal and will perform better in more advanced games for him and his grandson. Cooler - The Phanteks PH-TC12LS_BK is the cooler I used for testing on Nevermore. It is an amazing cooler both functionally and aesthetically, and was a shame to just be in a box. Even at full load, it is near silent with fans at 1033rpm. Stock cooler would have been fine, yet just not very good looking and a wee bit louder. Motherboard - It is Black/White, looks good, and has 4 RAM slots, in case a need arises to bump to 16GB. Posted without issue, yet still updated to latest BIOS version available. RAM - It will only operate at 2133Mhz in the B150 chipset, but was on sale and have been pleased with the Kingston in Nevermore. Unless one really needs the bandwidth, 2133 is fast enough, in my opinion. Storage - This 500 GB 850 EVO was actually in Nevermore. I have not come close to filling the 1TB SSD in it yet, so the 500GB was untouched. Decided to pull it out for Mizell. To replace it, I am going to take the 512GB 850 Pro that was in the Aurora. Graphics Card - The GTX 760 was in the Aurora when I had it, but put my old GTX 650 in when gave it to Dad last year. He does not need more than the Integrated Graphics for what he uses the PC for, yet for the light gaming that may be done on Mizell, the 760 was a better choice. And to be blunt, it had a backplate and looks nicer. Case - I always liked the way the Corsair SPEC series cases looked and wanted to build in one, so snapped one up when it was on special. They make a lot of really nice cases, and this was no exception. The SPEC-03 build quality is top notch in my opinion, while cable management is neither the best, nor the worst I have seen. I do wish Corsair, and other manufacturers, would start making the oval cable grommets standard, especially in any case with a window. 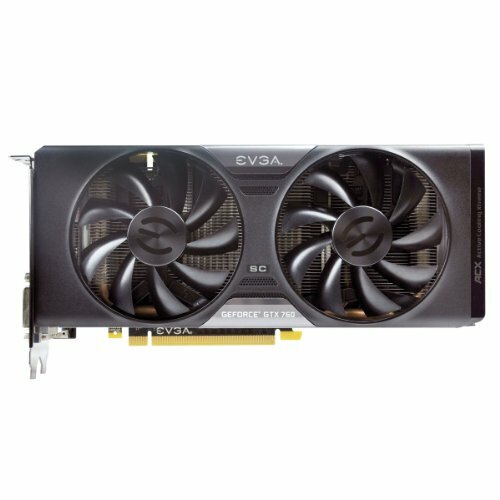 PSU - 650W is more than enough for this build and, while I could have gone for less, the EVGA was on sale and a good deal in my opinion. PSU is never a place that I would recommend cheaping out on...never will understand putting a $30 PSU in a computer with thousands of dollars of hardware. 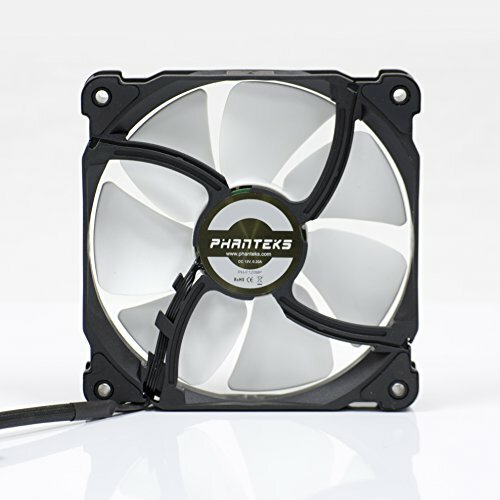 Fans - Temperatures have yet to create a need for a push/pull in Nevermore, so had some Phanteks PH-F120MP 53.3 CFM 120mm Fans left over. While I have nothing against the Corsair fans, I preferred only having an LED strip for illumination. The exhaust fan was also replaced so that they all matched. Like in my other build, and on the Phanteks cooler, these things are extremely quiet while moving a good deal of air. Monitor - The HP 2311xi is still a nice IPS monitor and was re-used from his old system. With the change over, I will be doing some re-calibrating on it. Keyboard - Perixx Periduo-211 Big Print Letters. 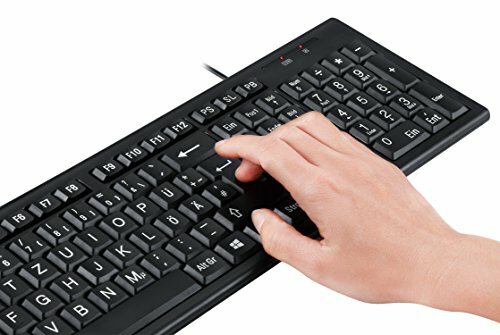 A simple keyboard with larger print on it to make it easier for him to read. When I would be over, I would notice him bending down a bit to read the old keyboard and this one suits his needs better. Mouse - The keyboard came with a mouse, which was fine, yet felt a little light and could tell would annoy him. 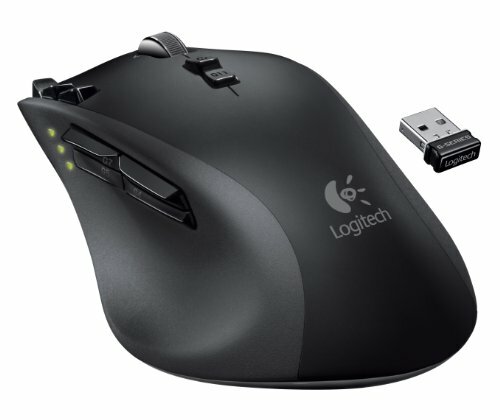 Again, I had the G700, which is a fantastic mouse lying around in a box (replaced with G502 Proteus Core on mine) and decided to use it. The weight and control of the mouse pointer are much better for him. It is not hooked up wirelessly, instead just stays plugged in to a USB port for simplicity's sake. Speakers - Guess what? Yep...had these lying around too. They are from a Gateway system from years back when Altec Lansing was The manufacturer. Still function perfectly and sound great...and wow, that subwoofer has some weight to it. 1990-ish, so that makes them 26-ish years old. Backup UPS - The battery on the old Cyberpower that the Aurora was hooked up to went kaput a few months back, so had just been hooked to a surge protector. Replacement battery cost is $150, so that was not an option. I am a big believer in having a UPS system for a computer, not just for the battery or surge protection, but also they switch over if the power fluctuates, as happens with brownouts. Picked up the CyberPower EC650LCD for Dad's build. 390W is plenty for what he will ever draw from it and gives me piece of mind knowing it is not plugged into a $10 power strip. Other - The Perixx DX-​1000XXL G​aming Mous​e Pad is fantastic. It is huge, durable, and has been an excellent surface for me, and now for Dad too. So much better than the little 10 year old mouse pad he had been using. Thank You for taking the time to see and read about Mizell. What!? A featured build that's not over a hundred thousand dollars! Congrats on the Feature! Wellll...just over $500. Thank you for the Grats. Whoops... I meant a thousand. Oh well. He put almost everything a paid $0.00. Including the GPU. Cool build. Hope it gets featured. I totally called it getting featured. Fantastic build! Love the mods and the cable management is impeccable! The craftsmanship of the mods you made were brilliant. I'm jealous. My $1K+ doesn't look as good, granted I have no theme for it lol. +1 for this. Excellent job. You are an inspiration to budget builders everywhere. I wish you put some lights inside, otherwise its a cool build. There are lights inside; a single LED strip. You can see them lit in the seventh pic page. Also, the very first pic is the LED strip illuminating the case. The goal for lighting was subtle...this build is for my 84yr old Father, not me or my nephew, and he does not like too many lights. The needle nose Vise Grips in pic 7 are killing me. Not something you would normally see in a P.C. build. The custom covers have given me food for thought. This is really a nice touch. The needle nose Vise Grips in pic 7 are killing me. LOL...I knew those would come up. They were not used for any electrical components, in case anyone else wonders. I used them for moving the motherboard standoffs and removing the ones I did not need. yeah..... I could tell. Great build tho! Thanks:) Definitely think Dads are worth it. How do you like the motherboard? I am considering getting that one in particular myself. The motherboard has, so far, been fantastic. Color scheme on it is similar to a mini-Krait; also has an LED near the audio that "breathes." There are LED's on the back of it too; not very bright, yet nice subtle touch. BIOS is simple and user-friendly. Flashed it to latest version without issue. The one problem I had was I would have to press the power button on the case twice. Seems to have been CMOS related, because when I swapped in a new battery, which reset it, the problem went away. So that one problem may have merely been related to the battery and not the motherboard. Awesome. 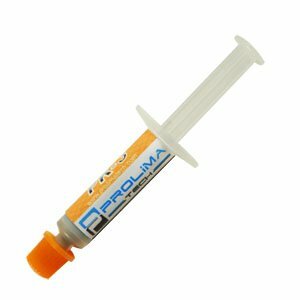 I am using this one for my White/Blue build and it looked amazing. I did double check the front panel power connector, which were fine. My assessment is that the CMOS battery was not seated all the way in. I replaced it anyways, yet when I went to remove it, I had to push it in first so the clip clicked. Then when pushed clip to remove, it popped out right. Nice. Seems simple enough :-) Thanks for letting me know. Congrats on the feature! How did you put rubber grommets on the spec 03? The openings where I put the grommets are fairly standard. Usually find 3 or so different sized openings on cases. On the grommets, there is a channel around the edge that slips over the metal in the opening. Hey Ravenwolf, great to see you around with another build, I found nevermore on Overclock.net awhile ago, and was a huge fan of it. I'm a fan of the clean aesthetic inside, I think I spy a custom made HDD/ODD cover in the front, and a nice large PSU shroud. Well deserved feature - this build's aesthetics easily throw punches with rigs 4x the price. Thank you for your compliments on this and my other build. I appreciate everyone who took the time to look and read. I think I spy a custom made HDD/ODD cover in the front. The bracket is a Phantek's I picked a year or so ago. Due to it being a dual-ssd bracket, it was too tall to work right in Nevermore, so ended up in the Misc Parts Box. For Mizell, it works perfectly and can always add another SSD later if I need, though Dad will not even fill half the 500GB. To mount it, I found a block of wood and spray painted it black. Then used leftover Mounting tape to secure the SSD bracket to it. The Shroud and front cover plate are made from inexpensive Hardboard. Had quite a bit still from last build. Vinyl adheres nicely to it and easy to cut. No reason for me to buy a new HDD or, I think you meant, 1050. Neither the SSD, nor the 760 cost me anything for this build. I had the SSD from a year ago and never put anything on it, so re-purposed it for Mizell. A 500GB is even more than Dad will ever need. Also, had the GTX 760 sitting in it's box in a closet. ...had the GTX 760 sitting in it's box in a closet. Why do you have that sitting in your closet? Yeah, and I have a GTX 1080 in my closet(I'm being sarcastic). Still a nice build. Upgrades! The Aurora came with an ATI Radeon 5870, that went bad and got a GTX 650, then later bought the GTX 760. Then built my system and that has a GTX 980ti, leaving the 760 homeless...until now. This is what I like to see, budget clean builds, those +$1K builds are easy to make cute with moeny. Good mods, you gave me some ideas. Happy to share...As I have gotten ideas from others' builds, I hope people can garner ideas from mine. Looks amazing for a misc build! Congrats on the featured spot. Nice case modification. I especially like the gpu prop. I especially like the gpu prop. You should enter for Tech source's PC wars! Great build! Thank you very much. That is very kind of you and I try to be nice...until it is time to not be nice. This set up brings to "on a badget" to a whole new level. Well done! I think you meant to write "on a budget" and thank you for the compliment. LOL I definitely meant "BUDget" ahah, Thanks for the correction! And you're more than welcome. Great looking build for your dad. +1. How's he finding it so far? So far he is quite happy with it and he is picking it up fast. 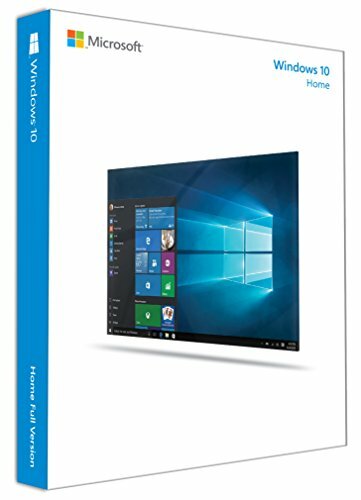 I did take some time to set up the Win10 layout to make it as easy as possible for him to access what he uses the most, so that did help too. Additionally, he loves that it is smaller and takes up less space. An unintended plus is the fact Mizell is virtually silent when running. It was not something I aimed for during the build, yet was one of the first things he mentioned. One of the best things though...no BSOD's, no errors, no shutdowns. They were aggravating and frustrating him; I did not want him to give up on computers and exploring all he could do with one. Im currently working the same thing like you do, but AMD this time. Wish me luck! Absolutely...I wish you the best and that you have a lot of fun building it! 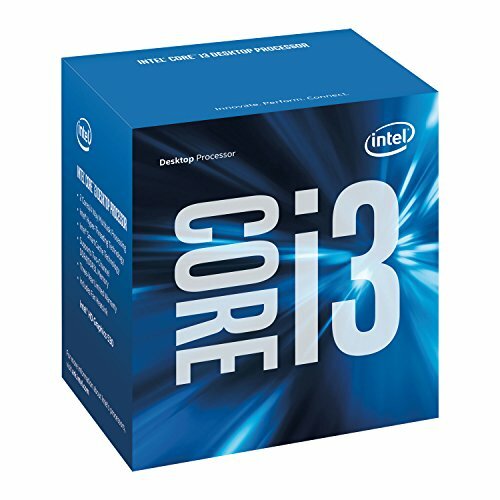 How do games perform with the i3-6100? When I have time, I might put a few games on just to see how they perform. Otherwise, I am sure my nephew will put a few on to "play with Gramps." Awesome clean build! Love that you made a custom PSU Shroud and up the side too. I am looking to do that for my build too. I am thinking to do it in 1/8" aluminum sheet and using a carbon fiber vinyl wrap for it or just painting it plain black. I see you also put a support post for the GPU. Do you have any vibration issues with this post? Thank You and best wishes on your build...sounds like will look fantastic. I see you also put a support post for the GPU. Do you have any vibration issues with this post? No vibration issues at all. On other build, have grommets at each end due to it being a round post. With Mizell, it is a simple piece of wood wrapped in vinyl...no grommets needed yet and even when did the few stress tests that also affected GPU, no noise or anything occurred. Thanks Ravenwolf! I'll be sure to post my build once it is completed. Lots of reasons for worthy feature build but really...why have I never though of using heat shrink to cover up those wires before??????????????? Going to be standard practice from now on. Nice efforts on mods for the case, using what you had instead of the easy route of buying a new case. Define the "hobby" part of building. Ideas for modding the case are a big part of the fun for me. I knew when I bought it for this project, I was going to change some things. You never know what will come to mind, until you have it and start looking at it. That case always reminds me of a Bane mask lol. Nice build. Two thumbs up!! What has been seen cannot be unseen;) You are right...subconscious part of the appeal to me? Love the color coordination! I've always wanted to make my own PSU shroud because I hate seeing PSU cables and hard drives laying around. Great job. you got featured after all! nice work. Uh yeah:)...I freely admit I get a bit OCD when building. sthap occupying first spot in the comment section. btw did you get your ugly sweater yet ? A magnificant collection of pictures truely showcasing the build, a well thought out description, and overral a very noticeable amount of effort submitting his completed build. I mean any person could try and boast their ego by submitting a 3k build but I always found those blantant if the pics are crummy or its just a quickly made completed build.